These 4 PLR Systems Are Netting Me $10,000+ Per Month... And Now For The First Time Ever I'm Sharing Them With You! Want a simple, easy-to-follow blueprint that will get you sales like this? If a stay at home mom like me can do it, I'm sure you can too. It's the kind of money you can start bringing in with the PLR systems I'm going to reveal to you today. Best of all, you just rinse-and-repeat to scale up your income until you've achieved the lifestyle you've always dreamed of. Or buy yourself whatever you feel like owning! Hi my name is Liz, and I've been creating and selling PLR products for over 7 years now. Aside from running my online business, I've been teaching my students about the two sides of making money with PLR products -- The buying and using PLR products side... and the other side being creating your own products and selling the PLR to them. Why not focus on stuff like blogging, site flipping, PPC, CPA and all the other methods? Let's just say in all my years of Internet marketing, I've yet to come across something that packs a punch like generating cash with PLR. 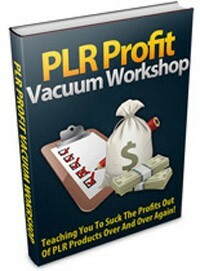 In particular, from the 4 PLR systems I'm going to show you. If you're like most struggling marketers, you've probably wasted enough time, money and energy on shiny objects and money making fads that fail to bring you a consistent income. And you just wish you had something that flat out works.